Hand picked. Gently ripened for their sweet flavour and soft, juicy bite Working in partnership with trusted growers from across Europe, all our Conference pears are hand picked from carefully tended orchards. Each pear is gently ripened so you can enjoy its sweet flavour and soft, juicy bite. Hand picked. Gently ripened for their sweet flavour and soft, juicy bite. 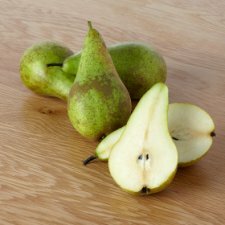 Working in partnership with trusted growers from across Europe, all our Conference pears are hand picked from carefully tended orchards. Each pear is gently ripened so you can enjoy its sweet flavour and soft, juicy bite.